Mind-numbingly boring! 4 games, 2 of which are so basic, one incomprehensible and one where I couldn't lose all my credits even if I tried! No skill needed, just click your mouse on the spin button. Maybe I am missing something. THIS GAME IS GREAT.MY WIFE AND I ENJOY IT. 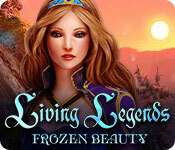 I RECOMEND IT TO ANY GAMBLER WHO LIKES SLOTS. BIG PAY OUTS.BUY IT PEOPLE IT IS WORTH IT. 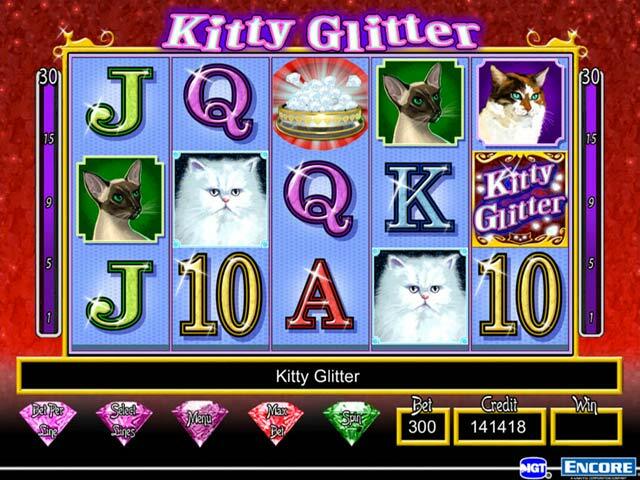 While Kitty Glitter is loads of fun to play in a casino it's boring as a computer game. 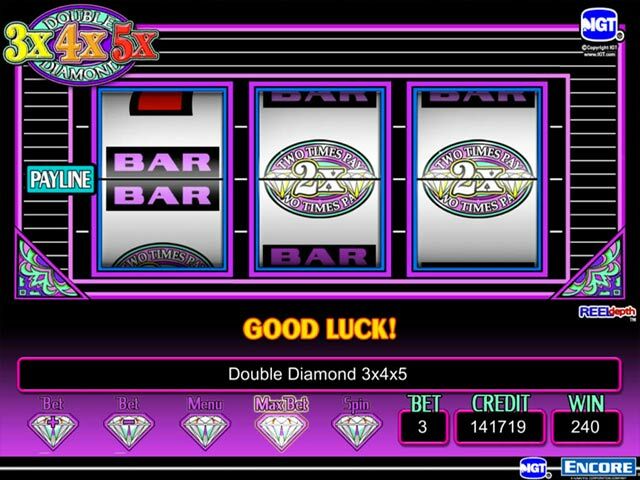 There are 4 different slot games to play, two of which are the old fashion bar kind that you have to hit 3 sevens, three bars etc. one of course is the kitty glitter ( and I can't figure out what genre they were going after hopefully not kids) and the only one I liked was Siberian Storm. This one has really clear and colorful graphics the layout was unusual and it had a max bet of 500 virtual coins and it was the only game that seemed to payout. I would much rather bet on Siberian tigers than glittery kittens any day of the week even if the money is virtual, enjoy! Just like the real slot machine......I never got ahead playing Kitty Glitter at a casino and now here! Hahaha. I hope we can buy IGT's Glitter Gems on BFG (sooner than later).......that's more fun than this version. Maybe the payouts won't be as tight and take forever to get to a bonus round like Kitty Glitter. uhm, maybe that's why I stopped playing Kitty Glitter long ago in the casinos and still like playing Glitter Gems. This game does not belong on a family web site. I did not like this game. The only part of the game I did like was that it had cats in it. This game promotes gambling and that is not a good thing. I do not recommend this game. This is such a boring game...no bonuses to play and the same stupid free spins...I DO NOT RECOMMEND THIS GAME!!!!!!!!!!! I note it is not my favorite genre of games, but sometimes I can play it. Nothing innovative in this game, but it leaves a good impression. Based on the demo. 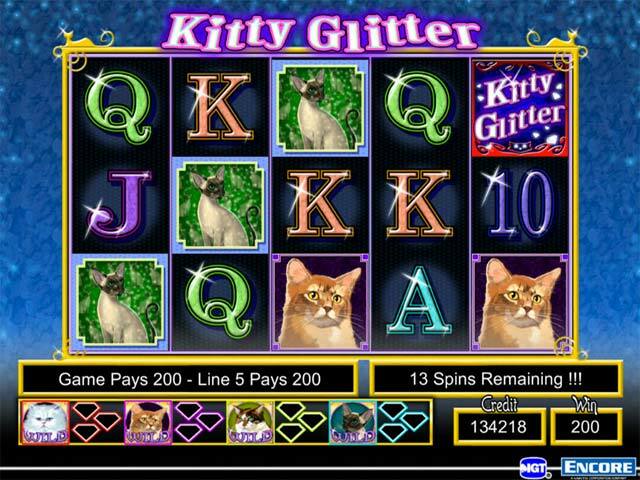 IGT Kitty Glitter is based on the slot games that are here in Nevada (IGT is based in Las Vegas) and actually is a bundle of four games: Kitty Glitter, Double Diamond x3-x4-x5, Siberian Storm, and Triple Stars. All of the games were set very tight, so the odds of winning any credits were extremely unlikely, although you are awarded 5,000 credits when you run low. Kitty Glitter was the worst, as I only won more than what I bet only about one out of every twenty or thirty spins; other times I won less than what I bet. As for bonus games, Kitty Glitter and Siberian Storm were the only two that had potential bonus games. Kitty Glitter, in which the player can play up to thirty lines at ten credits per line, never gave any up (you have to get three scattered bonus panels on reels 2,3, and 4), but I did get two bonus games playing Siberian Storm. 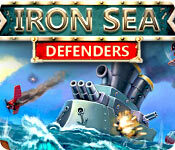 In that game, the player can bet up to 720 lines at a maximum bet of 500 credits. You have to get bonus panels on each of the five lines, but those can multiply depending how many you get, with a minimum of eight free spins. The playing field is set up in roughly a diamond shape, which is different from the other three games. The other two were regular single-payline slots with a maximum bet of three credits. This is a good game if you want to get a feel for what it's like in a Las Vegas casino, plus, you don't have to worry about losing all of your money!